Instagram, a popular photo-based social network, will now show Facebook ads in its feed. As stated by Bloomberg, Facebook will sell ads on the social network. This service will soon be introduced on smartphones in U.S. With the increase in users demands for wireless devices, it is seeking new ways to drive revenue from mobile devices. As in Facebook, less unwanted ads will be displayed in News Feeds. 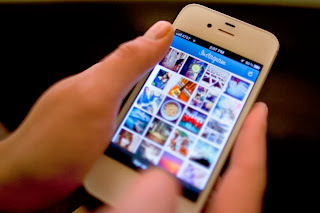 In the same manner, Instagram will also allow its users to hide whichever ads they do not like. Ads will be shown, but to hide or to watch them is in the hands of the user. Facebook has plans to earn more revenues from social media apps. A new way to attract revenue is from mobile users.In Facebook, you now know that there is feedback taken from users to find out which type of posts or ads are wanted and which are to be hidden. So they allow users to take a survey of the posts which range from 1 - 10 in every feedback survey. Users get less unwanted ads on their feed. With this act, Facebook is happy by displaying at least 2 or 3 ads and users are also happy that they can now see less ads. Going forward, Instagram too will give a chance to hide ads from the feed with the help of feedback. What do you feel about this initiative taken by Facebook! Please share your comments - we would love to hear from you!